Search engine optimization (SEO) is the process of improving the visibility of a web site or a web page in search engines via the "natural" or un-paid ("organic" or "algorithmic") search results. Other forms of search engine marketing (SEM) target paid listings. In general, the earlier (or higher on the page), and more frequently a site appears in the search results list, the more visitors it will receive from the search engine. SEO may target different kinds of search, including image search, local search, video search and industry-specific vertical search engines. This gives a web site web presence. 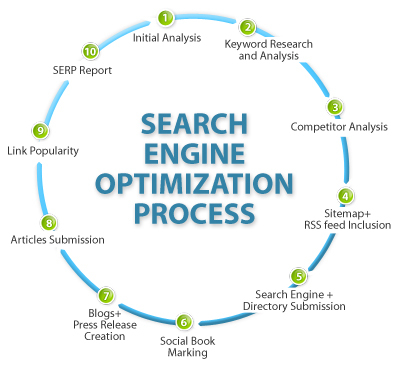 As we providing SEO Services we know that automated Search Engine Optimization systems cannot take into account the vast variations from single site to another nor can automated submission systems accurately submit your site to the various directories in the correct categories, with titles and descriptions that will maximize their search engine strength.